David Griffin, a.k.a. "The Prince of Cheap", shares his thoughts on Linco Inc's new Flora Light Continuous Fluorescent Lighting System. Once again its time to reveal something from a company that gets no respect… until now. Linco Inc. (Formerly Britek) has recently introduced yet another product that they shipped out to me to give an HONEST torture test and write about what I thought of it. The last review I wrote I chimed in on the company’s dramatic increase in product quality. This time I’m moving there bar upwards. 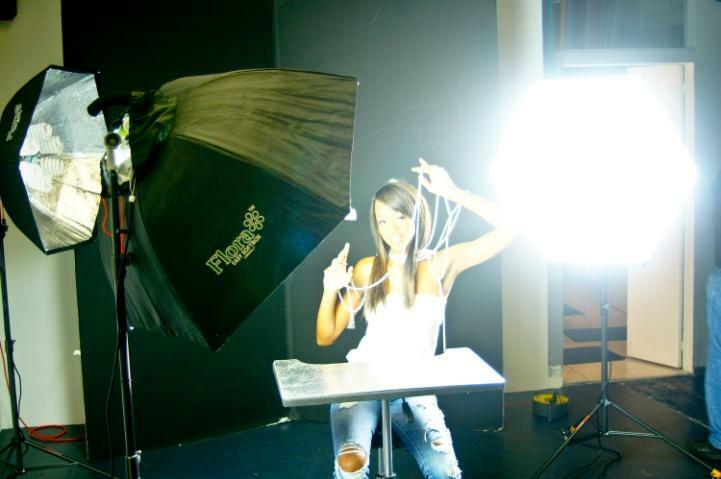 Linco has long been in involved in continuous lighting, strobe/flash and grip for professional photographers. The main thing is that mainstream companies have dominated the market so much that newbie photographers hardly ever hear the name Linco or Britek… until now! Keep in mind that this isn’t Linco Inc.’s first foray into Continuous Light district! They’ve been there with the Hulk of Continuous Fluorescent Lights the Pro 5000 light bank – a light bank that easily gives F8 at 1/125th a second at ISO200 at 5ft away! It is a photographers dream…. Yet his assistants’ back nightmare! 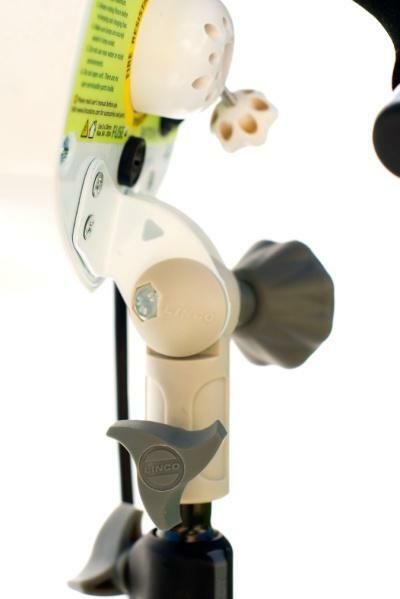 Linco Inc. has determined that the best way for people to know about its products is to give it a fair chance and give a few away to capable photographers and videographers to test and review. Me being a lucky recipient got to test the Flora Light, Linco’s newest foray in to the lighting department. However I’ve noticed something very unique about the Flora… its made for video because it’s a continuous fluorescent light…. But its powerful enough for still portrait photography! INSANE! Lets break this down a bit. Now, here’s its little Niece Flora, a continuous light that is powerful… but ULTRA light and CHEAP as Hell????!!! Lets get some understanding before we go all in. Strobe/flash, the current “King of Lighting” for still photography is what we’ll call “fast light”. Its total output light comes in nearly instantly! Meaning you get its full measurement in a mere percentage of a second. Typically anywhere between 1/200th of a second, even faster at 1/1000th of a second and sometimes faster than that with more advanced flashes. A continuous lights output power on the other hand is measured over the course of a full second. Meaning? You get the full amount of light that the light is rated at over the complete course of 1 full second versus the “Kings” 1/250th of a second or faster… Hence the term for strobe/flash “Fast Light”. Here’s the game changing question? How do you make “Slow Light” catch up? As far as Linco Inc.’s concerned…. Almost! But how? Slow light form continuous light was bright hot light that took time to light its subject enough to get a good exposure. How do continuous light folks operate, (A) use more light or (B) use more of it… MUCH MORE… so much till studios often were hot, subjects wilted and sweated out for great results. Often it resulted in photographers going to big name companies’ lighting solution that have a large name and an even larger price. Linco has figured most of this out with what appears to be a two pronged approach. One, they reduced prices to be affordable and accessible to everyone who’s remotely serious about shooting with the advantages of continuous light. 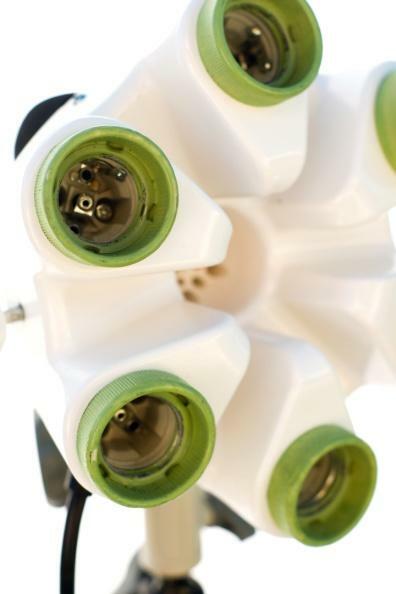 Two, they dramatically increased power output of their lighting system! Enter the Flora Light System. A radically designed continuous light made to withstand tremendous heat levels, shock from falls and be priced at an incredible value. 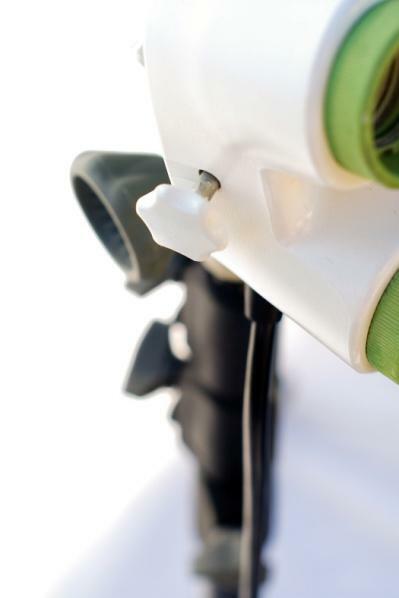 Its design is very revolutionary in terms of ease of use. 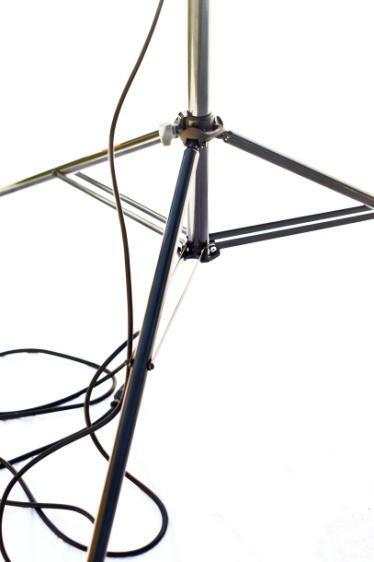 You’ll simply lock Flora Light head onto your light stand (I recommend the Linco Inc. line of light stands because of the aluminum build and durability), twist-lock it in place, open up the umbrella designed popup hexagon softbox, screw-lock it in, screw in all six 80 watt Daylight Continuous Fluorescent Light bulbs*, flick one or two light switches on back and its go time! It’s easier to make lighting adjustments once your model has moved because you see the adjustment need immediately. Setup time gets reduced because there are no complex triggering systems to sync with. What you see is what you get. 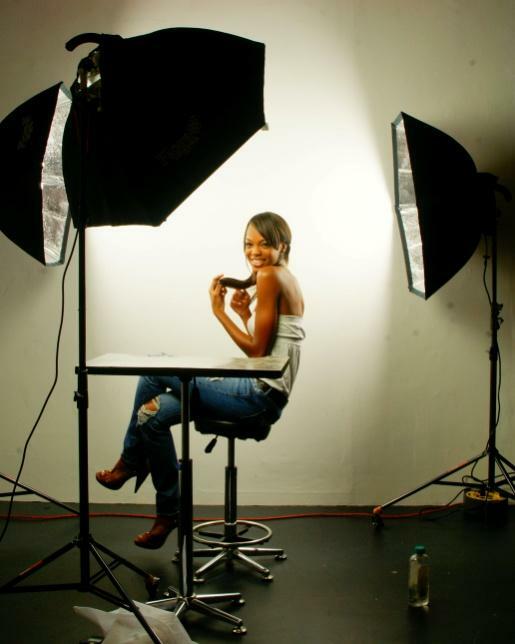 When you envision a lighting setup or change to a setup it can easily be created because you have the ability see it come together unlike strobe/flash where you would need to “test-see-retest” to get the desired results. All of these factors equal a faster system. So in essence, “Slow-Light” is faster because its simpler! The Flora build itself is insane-yet absolutely clever! Think of the outside of a bowl, put light sockets in it and make sure each socket aims at an angle away from its direct center! Its sends light out in nearly all directions! Its name itself, “Flora” actually reflects its flowering shaped head. 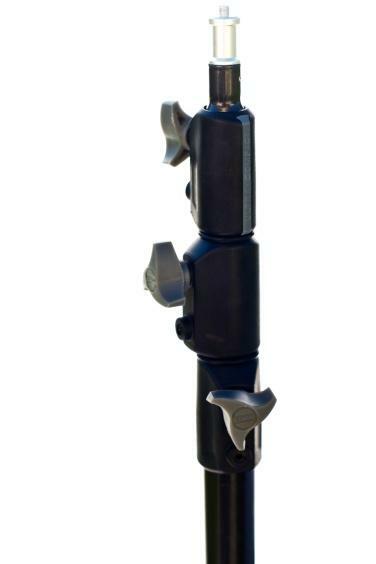 Though it may seem weird at first – its very effective at getting the most out of its six light heads. 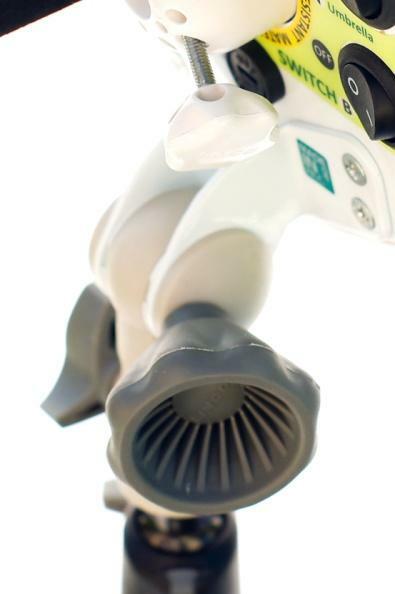 Its head actually is positioned in a way to throw its light outward in a large arc pattern that its softbox is able to catch and redirect forward. In terms of its softbox design: Great! 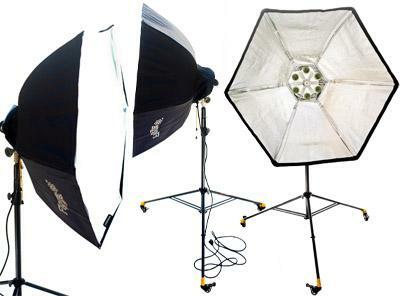 The new trend from lighting manufacturers is to design soft boxes that open up on the principle of an umbrella frame. This makes for easier and faster setups. Linco hasn’t missed this boat one bit. 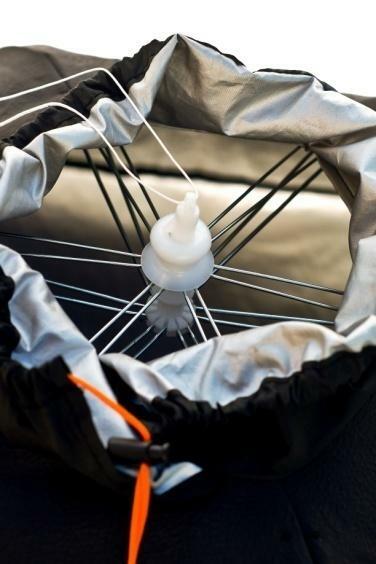 In fact their design is like a double ribbed metal rod umbrella for added strength. Looks like the boys are at it again at making there gear more durable! Good! This means that I as a photographer have less to worry about when it comes to the Flora falling with a mounted softbox. 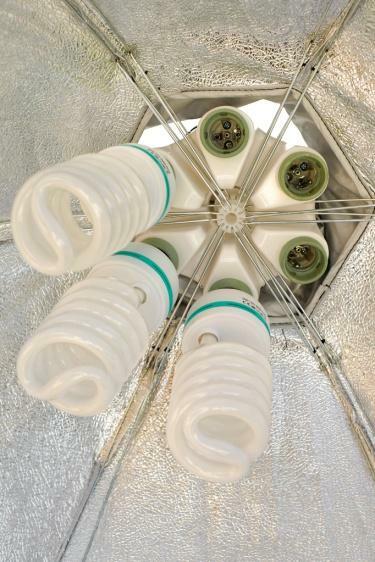 The Flora uses standard shaped fluorescent light bulbs that have the ballast built in. What’s a ballast you ask? Put it this way…. It’s the mechanism that keeps the light from the bulb constant, continuous and just right (or whatever the heck else it does besides regulate the electricity flow or something). Why is this necessary feature worth the letters to mention you ask? Many continuous fluorescent systems have the ballast built into the light unit and if the unit which increases the cost a bit. This approach makes the lights less expensive but Linco decided to pass this cost savings onto you. A good thing indeed! Now overall I was at first thrown off by the bulb investment then when I look at how fast I could recover the cost and how much more convenient it would now be working with constant light…. It makes it WELL WORTH THE INVESTMENT! With all so far said I find that in my testing of the unit there is so far NO glaring flaw that should discourage a photographer from buying into the system. The key is that you must assess your lighting needs first to know whether or not you could benefit from a continuous light system. If you intend to photograph fast moving children…. Your “crap outta luck”. The very nature of “Slow-Light” is that your light comes over time not instant like the advantage of flash. Continuous light actively “burns” your image onto your film/digital sensor so high shutter speeds are not common. If you want to freeze a child I recommend shutter speeds of 1/125th or 1/250th a second. Also, to compensate for the slower light you would use a more light sensitive ISO like ISO 400 or above. Disadvantage continuous light! By using higher ISO numbers, one makes his images more susceptible to digital noise/film grain. Now, let’s examine the Floras output to see how much of a disadvantage we’re at. From the below above you get a clear picture of how powerful the light really is. This should tell you whether or not you could benefit from having such an easy to use light source. Here’s my diagnosis: If your interested in starting out as a photographer and are looking for an effective, simple and economical way to do it…. The flora light is THE WAY to go… IF that is you are looking to photograph one to two subjects at a time. This system can make everything easy, fast and wildly effective. I’ve had somewhat of a renaissance with continuous lighting since Linco Inc. has sent it to me to test. I’ve found myself more and more just pulling out one too two Floras and a reflector or two for what I would have used 3 – 4 strobes to do! Just because the ease and speed of use level is of vastly different worlds! However when I need monster levels of power…. F11-22 I have no choice but to revert the “King of Still Photography”…. strobe. However I once said that the day of flash is beginning to be challenged…. And here we are! Aperture (A) Reflects use with the front Diffuser Fabric while Aperture (B) reflects its use without it. Because of the nature of Continuous Fluorescent Lights I mostly shoot without the front diffuser fabric. With Linco Inc. building on an old concept to make it more useful for today’s photographer I see a day when a photographer goes into his studio hits one switch and all the lights are on and click, click, click, wardrobe change, click, click, click, wardrobe change…. Advertisement done with three looks in 20 minutes! Sound insane? No…. just allow technology to move on and it may happen… one thing I already see is that Linco Inc. Is already at the forefront! 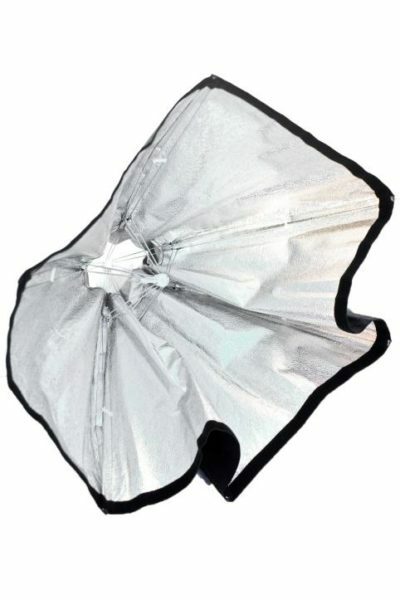 Currently Linco Inc is flirting with the idea of a deeper softbox design as well in order to channel the light and increase its lighting output even further, thus making it an ultra affordable continuous fluorescent beauty dish! 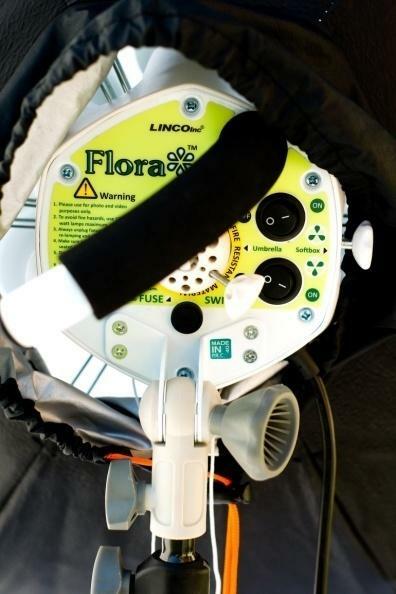 Lets hope the boys over at Linco don’t give up on this idea because the only sore point is that since this tool currently only has one lighting option (ultra-mega-soft-light) that would allow for some SERIOUS versatility and make the Flora a definite SYSTEM to consider to even the most season pros! The argument against it is that it would be like a flashlight in some ways. As a photographer I’d have to disagree, the ability to spotlight a subject would allow one to do more dramatic images by using contrast. The cheapest solution… create a fabric grid or vertical louvers! Viola! Inexpensive and a big money maker! COME ON LINCO INC. GET TO LOUVIN or GridiN! This Solution Would Increase The Versatility Of The Flora 10 Fold! This is the only limitation to the fluorescent light solution. They all are mostly one trick ponies- soft light only. As much as I like being able to use the that ultra easy to use 35inch Hexagon Softbox and standard photographic umbrellas they are the only accessories available… and that hurts my creativity a bit. However the question is, is this limitation a deal breaker? HECK NO! Think of the majority of images you’ve seen that regular clients like…. Most of them are bathed in soft light (in fact I’d bet my whole photography career on this)! 5 Reasons why you should buy… right now! If you are just starting out and don’t have time to get over the “Learning Curve” associated with strobe/flash. If you don’t have the additional cost associated with triggering strobes with your camera (Alienbee Cybersyncs, Pocket Wizards, Elinchrom Skyports etc…). 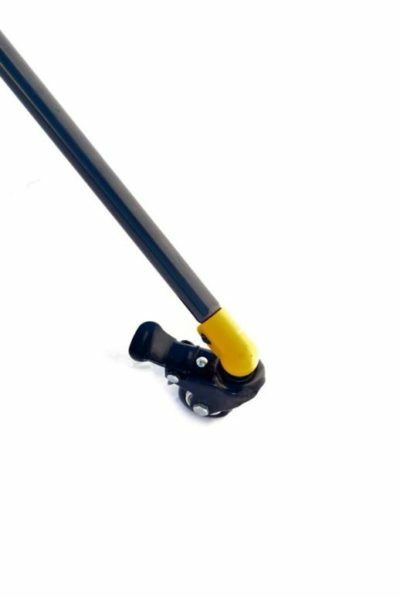 This is fastest and easiest no miss no mess solution on the market! Hands down! In my testing of the units, I had three full kits setup in approximately 12 minutes! Speed kills! Though the Flora is a one trick pony its does what it does better than all others on the market at that cost much-much more and have far higher perceived values. On YouTube you can find a video review where the Flora is compared to a KinoFlo and surprisingly the Flora outdoes the Kino by a shocking margin. Though Linco’s Flora Light is a one trick pony it becomes a minor pittance. You can be creative and try Cinefoil or other crude tricks to get your light to be “your light”. Overall Linco Inc. has created a system with a future. 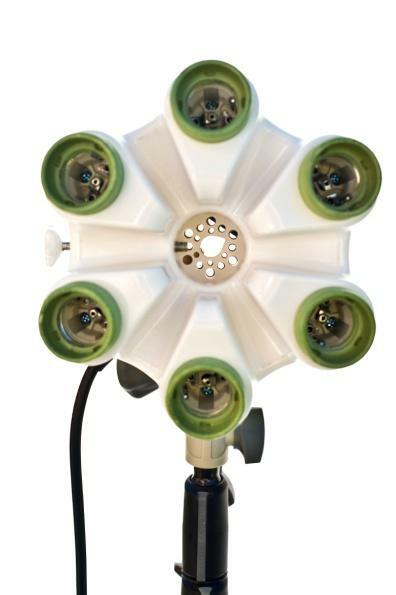 The radical design of the light head itself means they have decided to: take risk, make waves, make a profit, and distinguish themselves from the “Ho-hum” Chinese based lighting distributors on the market. Linco Inc. didn’t forget about one critical feature… safety! As continuous light units produce light they also produce heat… and lots of it! However, Linco (thinking ahead) made sure that the Flora system was damn near fireproof using a material that doesn’t ignite the way other manufacturers units do. Do a YouTube search and you’ll clearly see a Flora Light being hit with a blowtorch for about 30+ seconds and it not going ablaze like one of there competitors’ lights did! Enough verbal massaging! The Flora light is an ABSOLUTE BUY! I wish I had started out with two of them because I would’ve use them to make a killing photographing pregnant women, slightly older children (who can be still enough for 1/60th a second, and families of 4 or less… not to mention how I would have used them to create simple, fast effective executive on location headshots! The Flora light succeeds as Linco Inc. has succeeded in steeping up and past the crowd with an affordable system that pays the photographer more than the photographer pays for it! Just know that the light is only able to produce soft quality light at modestly close distances. With this in mind you have the knowledge to make a great decision on whether or not to buy into such a system! I say, if you have $350 to spend… get 1 Flora head $20 worth of foam board staples and Aluminum Foil and VIOLA!…. 3 Light setups all day and money all night. Next up… the proof. I’ll be showing you results from multiple setups and shoots where I demonstrate how one could get the most out of a Flora Light as this is part one of a 2 part review! Be on the lookout for my upcoming book! Lighting Rumours is not affiliated with Linco Inc.
"I’m the Prince of Cheap and I say, shut up and GET TA SHOOTIN!" 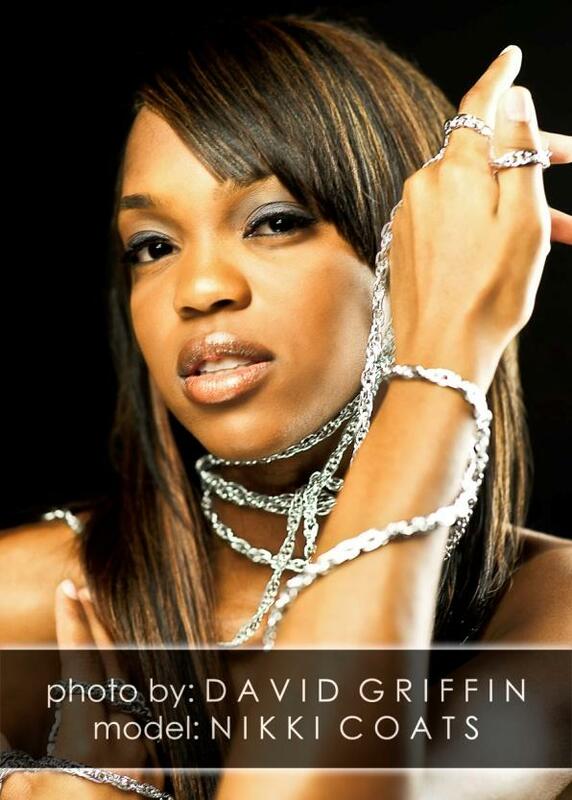 David Griffin is a professional portrait photographer from Los Angeles, California. Britek, Flora Light, fluorescent, Linco Inc.